The Plague has come and gone, decimating over half the world’s population and leaving behind crumbled cities and people desperate to get to the Colony, a paradise of a million people. 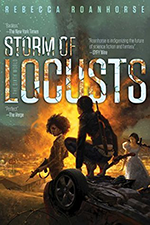 It’s Kira’s dream to make it to the Colony after her family is murdered. Until then, she survives on the streets by stealing and conning people into buying her food. Life’s not fabulous, but it sure beats waking up in a pitch black room, shackled and forced to team up with a convicted murderer to survive a sadistic game. The bright side? At least her murderous partner, Rogan, is pretty to look at. Countdown struck me as Hunger Games meets Battlestar Galactica. The point of Countdown, the game, is to survive as long as you can. Kira and Rogan’s cycle of the game is complicated by implants in their heads that not only broadcast the voiceover accompanying the game, but don’t allow them to wander farther than ninety feet from each other. If they do, they die. Kira’s reluctant to trust him, given his criminal history. As the levels progress (there are six in all), the danger to them, both individually and as partners, ramps up. Like Hunger Games, Countdown is broadcast to viewers. It’s a survival game with viewers delighting in the trials and pains Kira and Rogan go through. They have no choice but to play the game in order to have any chance of survival. If one or both of them survive the final level, they’ll be given their dream prizes: Kira will be granted passage to the Colony, and Rogan’s criminal record will be wiped clean. And like BSG, artificial intelligence is slowly taking over society. There’s even sentient technology, and the book sports its own version of a Cylon. A couple of times I kept expecting Raiders to show up (they don’t). The sentient AI has its own agenda for the remaining world’s population, and it doesn’t sound like fun. Kira’s attraction to Rogan deepens over the course of the game. Her instincts tell her it’s okay to trust him, despite the bombshell that gets dropped on her only a few levels into the game. The words of others and Rogan’s actions don’t add up for her, especially when Rogan goes out of his way to protect her and keep her safe. I liked her attitude; she’s had to fend for herself the last two years, and she won’t take crap from anyone. She’s got a sassy mouth on her, and she’s not afraid to use it. She’s stubborn when she needs to be, and she’s not about to let anyone make up her mind for her. 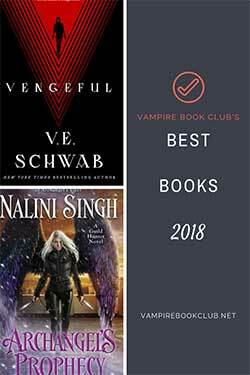 What really made this book great, though, was the pacing. It never lags. The quiet moments, where Rogan and Kira are allowed to rest, allowed to drop their facades and get to know each other, are evenly spaced throughout the book and add to the overall depth of their characters. 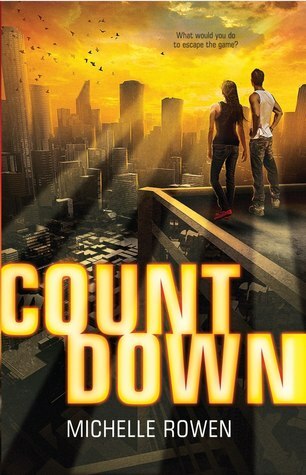 While Countdown wasn’t the most original entry into the world of YA post-apocalyptic fiction, it was a fun, fast, entertaining read, with a clear, satisfying resolution that won’t have you banging your head in frustration because you have to wait a year for the next book in the series.